Where are Billy and Angela? If you follow us on Twitter, you may have seen the surprise announcement two weeks ago: Billy and I had a baby! He showed up a little early, but otherwise, he’s absolutely perfect. The three of us are slowly learning how to function as a new three-person unit. 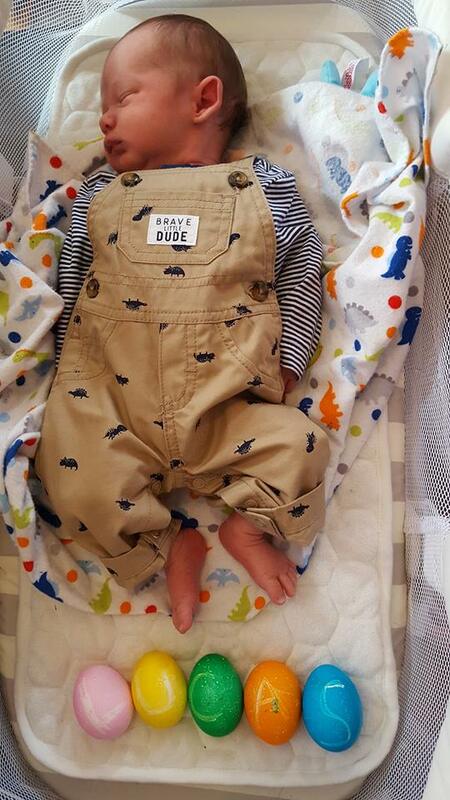 But since he was two weeks early…he kind of threw a wrench in our plans. The day I went into labor was the day we were supposed to do a marathon of Numenera, to make sure there was plenty of episodes ready before the baby arrived. And Billy and I had been planning on recording a bunch of the SoloShot on what became the baby’s birthday. Babies have a way of upending even the best-laid plans, I suppose. But Fandible has been posting episodes every Friday for seven years. We’ve had Longshot episodes almost as consistently for three years. The show absolutely must go on! If you listen to the Longshot, you’ve already heard the start of the Legends storyline that will fill in the gaps when Billy and I are unavailable. And Friday episodes will continue on schedule, just with Daniel, David, and Jesus running the show. I’ve also been told they’re using this as an excuse to run every magic-heavy system they possibly can, so you can look forward to lots of new one shot games over the next few months. As for the SoloShot, we know we left off in a terrible spot! We’re almost ready to start recording again though, and new episodes should return within 2-3 weeks (we’ll definitely be back in time for May the Fourth!). We’re close to wrapping up season 2, and excited to continue Castian’s story. So all of this is to say that you’re going to hear some changes on Fandible over the next few months, but none of them are permanent! Billy and I will be back in gaming shape soon. Thanks to the rest of the Fandible crew for their help and support as we’re adapting to this major life change, and to all of you for listening! Such wonderful news, congratulations to you all! You’ve got a truly epic adventure ahead of you! Congratulations! But has the little guy decided what character he wants to be in Numenara? Whoa! What a Grest suprise! Congrats ti you 3 and we look foward to grave you back on air!!! Congratulations, take all the time you need, get to know your new roommate and well done! Take all the time you need. We’ll make sure the boys don’t burn the place down while you’re away. …Because I grew suspicious after having met you at Dreamation2018 and checked your twitter for confirmation and lo and behold I found out you were blessed with a healthy baby person. May you have restful sleep whenever/wherever you can find it. So whens Angela’s rap single coming out. Congrats.!! Have you determined the baby’s class yet? I vote Paladin!